okay, by the title of this post, you might think that i have several lip balm obsessions. i would like to say that fact really isn’t true, but considering the amounts of lip glosses and chapsticks i have scattered throughout my life (bedroom, purse, clutch, car), i might not be able to deny it. while watching tv the other day, i saw a commercial for eos lip balm. it wasn’t a new one, and i’d seen it plenty of times before then, but something about this recent viewing of it got me convinced that it was finally time i give it a try. so, it was incredibly convenient that i was already making an unnecessary trip to target for other things that i probably do not need, but hey, i couldn’t resist this sweater and this top. aren’t they just perfect for the change in seasons? i thought so, too. anyway, so i caved into the cute and clever marketing efforts of this company and picked up a sphere of the strawberry sorbet flavor at the checkout line. 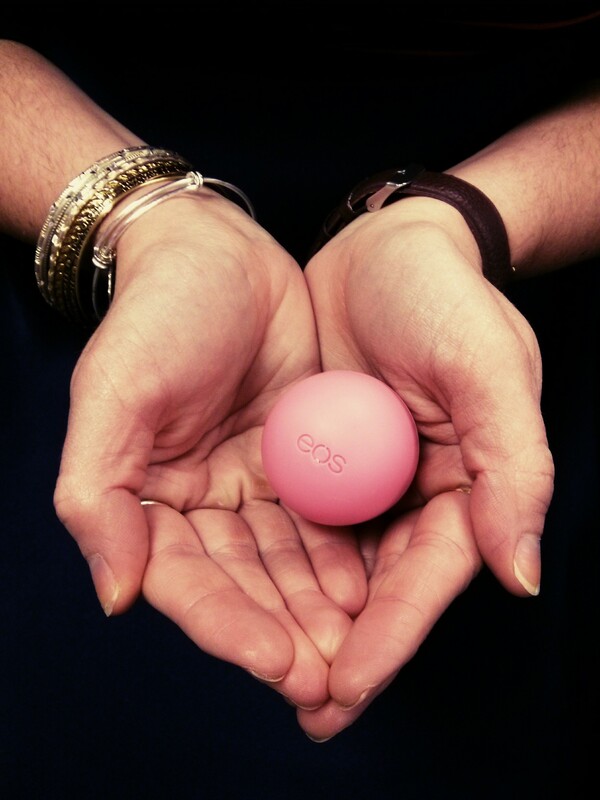 this little ball is sweet and so precious that i couldn’t help but smile when gliding it over my lips. it’s dainty and light with a subtle flavor, and there’s a very good chance i might never go back to anything else. as a consumer who had no opinion but her own inkling to give it a try, i highly recommend it you.